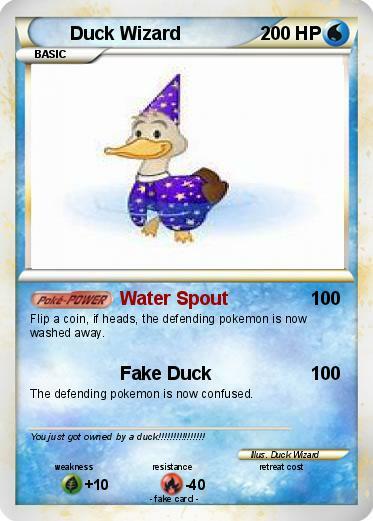 Flip a coin, if heads, the defending pokemon is now washed away. Comments : You just got owned by a duck!!!!!!!!!!!!!!! !